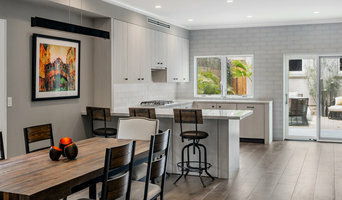 BEST OF HOUZZ 2016-2017 - Hi, my name is Ryan Carr and I'm an architectural & interiors photographer serving all of Los Angeles and the surrounding areas. I'm the oldest of four siblings and have lived in Southern California my whole life. I have decades of experience with photography and video. I spent years working in the commercial and film industry - both on set as well in post production. My love of photography and video started at a young age and even led me to directing several music videos in the past. My clients love my attention to detail and emphasis on delivering the best possible images for every space I photograph. 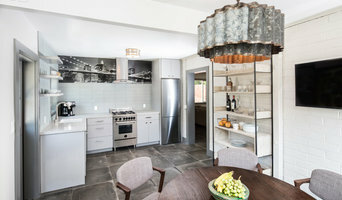 Experienced, professional, creative, architectural and kitchen photographer with an affinity for design, and natural light. Professional photography for architects, designers, and builders. Experienced in creating expressive and technically adept images that convey the story of the client’s vision - to capture both the subtle and dynamic elements of a project. Before you call any potential photographers, make sure they have good references. Friends who've sold or rented homes before are great resources, as are local real estate agents. Look through each California photographer's online portfolio to make sure what you're looking for is being offered. Once you've done that, it's a good idea to walk around your home and write down exactly how many and what types of shots you'll need. Include any specifications you might have, such as angles, things to consider about your home’s Brandeis, CA site, the time of day you think will be best and aspects of your home you want to highlight. Find a home photographer on Houzz. Narrow your search in the Professionals section of the website to Brandeis, CA photographers. You can also look through Brandeis, CA photos by style to find a room you like, then contact the professional who photographed it.